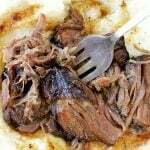 Slow Cooker Pot Roast with red wine was originally published on this blog in 2012. 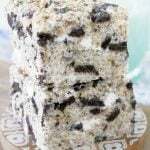 Both the recipe and photos have since been updated. Pot roast is one of my ultimate comfort foods that I don’t make nearly enough. It’s a process to be sure, but when I think back on my fondest food memories of my childhood, my mom’s pot roast with carrots and onions ranks near the top. To update the pot roast from my childhood I decided to add some red wine to the mix. 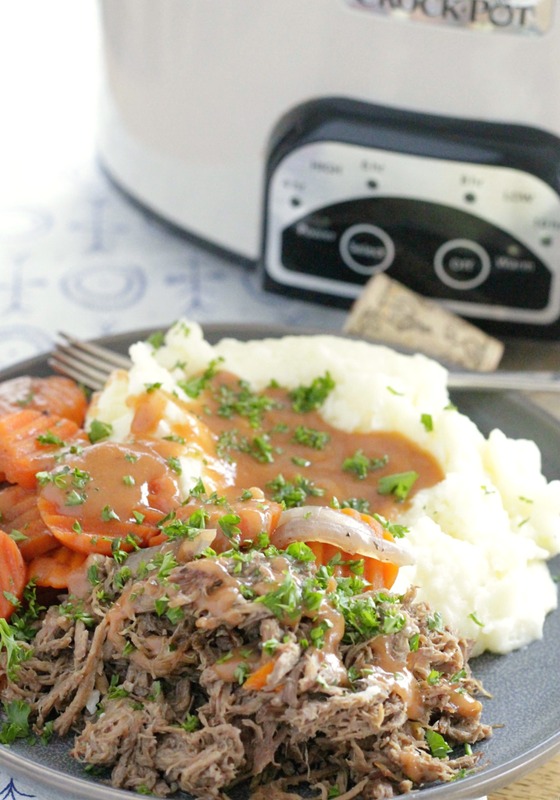 I think this Slow Cooker Pot Roast with Red Wine will become a favorite in your house too. The first time I attempted to make pot roast was a disaster. This was years ago, and I think I decided to just “wing it”, with no real idea about what it takes to make a big (tough) piece of meat like that become tender. I seem to remember literally boiling it in broth, and then having no clue that while it was indeed cooked, why it had the texture of a rubber band. Thankfully, I’ve come a long way since then. 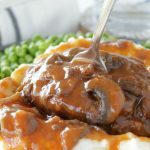 While the slow cooker provides the convenience of being able to walk away from this meal, it does not mean the roast is a simple dump and cook recipe. 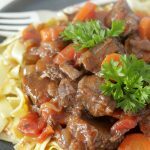 To get a truly flavorful dish, you need to do some prep work before turning on your slow cooker. But it is most definitely worth it in terms of taste. 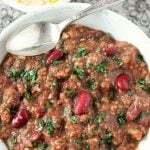 And my family and I enjoyed this meal as both hot and cold leftovers for several days after serving it initially. 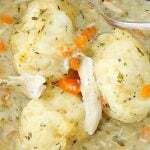 In addition to the carrots and onions the roast is cooked with, I serve it with mashed potatoes and sometimes peas. It’s the ultimate comfort food. 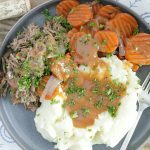 This recipe for slow cooker pot roast is a family favorite - with red wine, carrots and onions the broth makes a delicious gravy too. 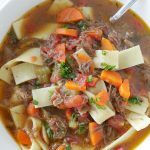 Turn a 6 to 8 quart slow cooker to LOW heat. Add the sliced onions, beef consomme, red wine and bay leaves to the slow cooker insert. 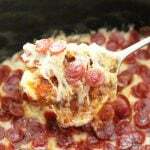 In a small bowl whisk together two tablespoons of flour, salt, garlic powder, thyme and oregano. Pat the beef roast dry with paper towels and sprinkle the flour and seasoning mixture over the the entire outside of the roast. 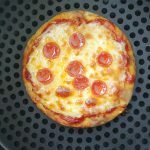 Heat the vegetable oil over medium-high heat in a large skillet. Add the roast and brown on all sides (about 4 minutes per side). Add the browned beef roast to the slow cooker. Pour the frozen carrots over the roast. 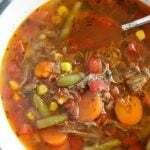 Place the lid on the slow cooker and cook on LOW for 8 hours. Remove the roast and shred the meat with forks. Remove the bay leaves and discard. Strain the broth and place the carrots and onions and shredded pot roast back into the slow cooker set on WARM. 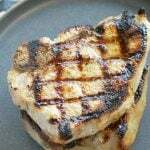 Heat the 3 tablespoons of butter over medium heat in a sauce pan until melted. 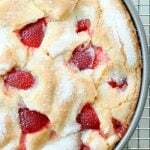 Whisk in the remaining 3 tablespoons of flour and cook for 1 minute. Whisk in the drained beef and wine broth. Cook and whisk until a gravy forms, about 3 minutes. 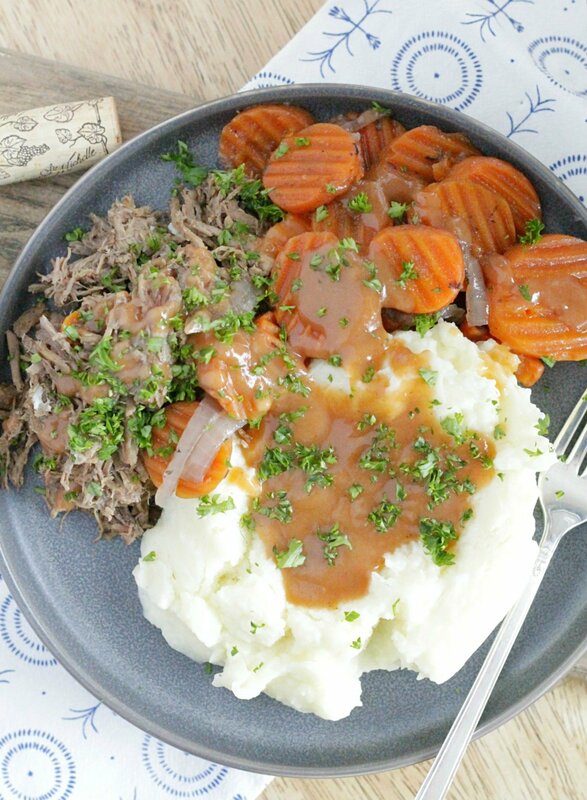 Serve the pot roast and cooked carrots and onions with the gravy and mashed potatoes. Yumm! 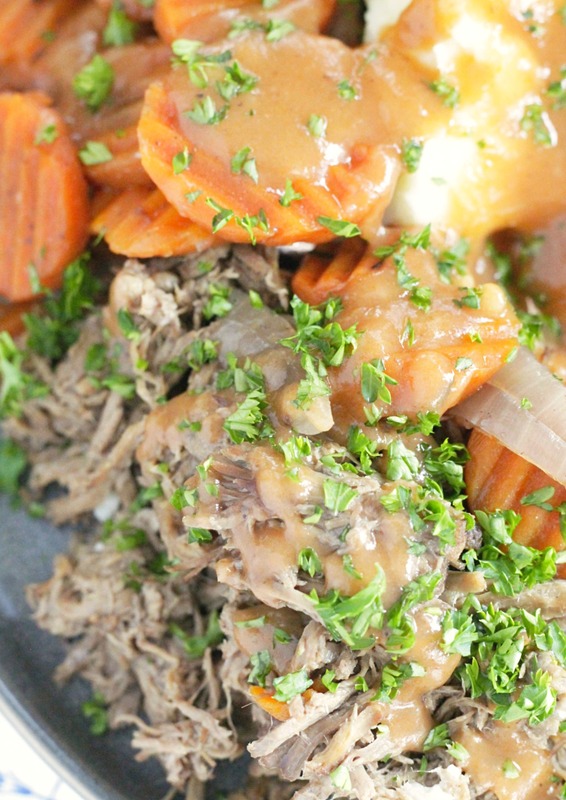 This pot roast looks super delicious! 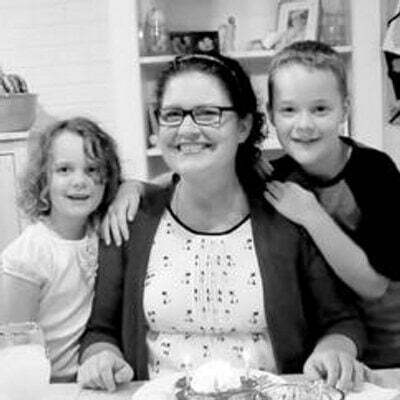 I don’t use my slow cooker enough, so I’ll save this recipe to try this weekend. Thanks! I hope you do try it. Thanks for stopping by!